If you are looking for a more comfortable way to bathe, the Oak Tree Riviera bath lift could change your life. The Riviera relies on state-of-the-art technology to gently lower you into and out of the bath. Simply sit on the saddleband and comfort slider then use either the wall control or floating remote to lower yourself down safely and comfortably. When you are finished, use the same controls to rise up again. It’s really as easy as that. No uncomfortable seats or expensive renovations – just a pure bathing experience that’s as relaxing as it should be. Enjoying a good long soak in a hot bath is one of life’s great pleasures and the therapeutic benefits are numerous. Now, with the Oak Tree Riviera bath lift, you can relax and enjoy a comfortable bath again. 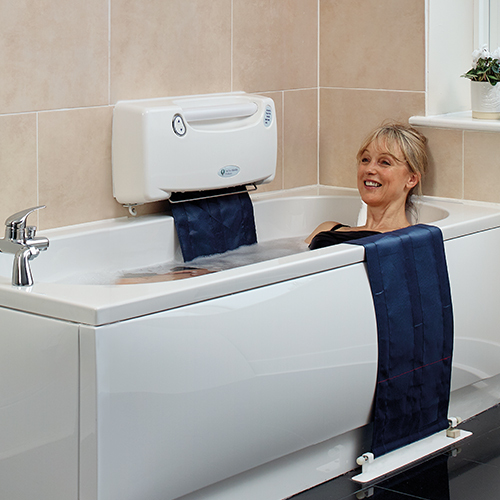 The Riviera bath lift is packed with features that make it safe, meaning you can rely on it bath after bath. From state of the art motors to a belt that stays taught and offers, excellent support, the Riviera makes bathing as simple and enjoyable as it ought to be. 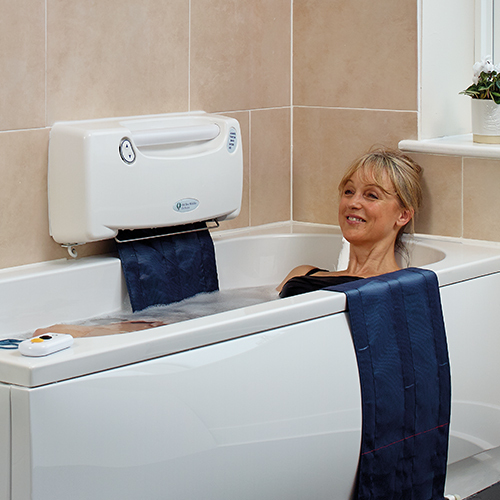 The fully waterproof and floating remote control is a standard feature on the Riviera Bath Lift. Two simple buttons allow you to descend and rise gently in complete safety. The unique levelling belt with a built in ‘comfort slider’ to maintain balance is extremely strong and made from superior seat belt material. 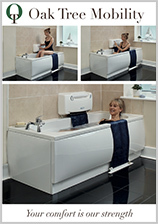 We have designed the Riviera to make taking a bath as easy as possible. To see for yourself, take a look at the four steps below. When the saddleband is taut across the top of the bath, simply sit on the saddleband on the comfort slider. You don’t need to worry about tightening the saddleband. Once the saddleband is at the top of the bath, the unit will take over and automatically tighten for you, making it ready to sit on. 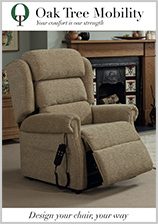 When you are sitting comfortably on the saddleband, press the down button on the unit or remote control. The saddleband will begin gently lowering you into the bath. 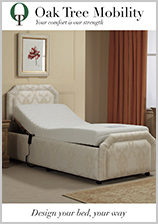 If you need to, you can stop and settle yourself on the comfort slider to get comfortable at anytime. Once at the bottom of your bath, relax and bathe as normal. This is what it’s all about – having a nice long bath and enjoying a deep soak with nothing in the way. This is what the Oak Tree Riviera was invented for. After you’ve finished bathing, simply press the up button and be safely returned to the top of your bath. Our consultant will be able to advise exactly which product is best for you and your home.